In today’s episode of Nerds with Knives (aka Goons with Spoons, aka Dorks with Forks), we explore the many ways you can trick people into thinking you are a much fancier person than you actually are. 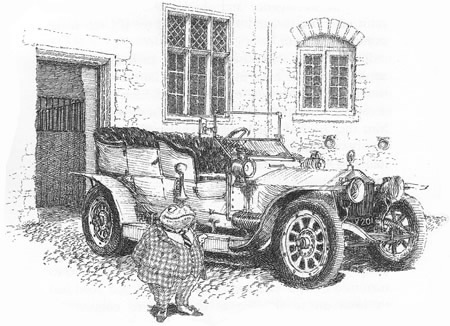 Sure, you can buy a classic open-top Bentley, like a real-life Mr Toad, and have your chauffeur drive you around town making parping noises … but wouldn’t it be easier and cheaper just to pretend? Tell people the Bentley is in the shop getting its … grommets waxed … or something, and then you can sit at home making parping noises. If you wish. Just one example. Here’s another: The Great Gatsby. Remember when Gatsby makes that delicious ten-course meal, and only when his dinner guests have eaten their fill and complimented him on his fine culinary ability does he reveal it was in fact entirely fashioned out of old hats and a dead squirrel? [Note: I have not read The Great Gatsby.] 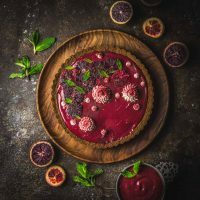 Here are some things you can do in the comfort of your own home to add a little Gatsby to your dishes. We all know that everything looks better lit by candlelight (hello, it’s basically nature’s soft-focus camera which, as a lady-of-a-certain-age, I very much appreciate). 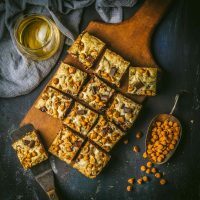 But candles also produce deep, dark shadows where things can be hidden, like the wrinkly napkins you never had time to iron, or that fancy bottle of wine that mysteriously became emptier while you were alone in the kitchen. Trick #2: A way with words. Here are two actual conversations that Matt and I have had. Matt: What’s for dinner tonight? Matt: [long silence] Sorry, what did you say about Doctor Who? Emily: Summer Pasta With Burst Cherry Tomatoes. Matt: I love you and will buy you all the things. Trick #3: Elegant but simple. Fancy doesn’t have to mean complicated. 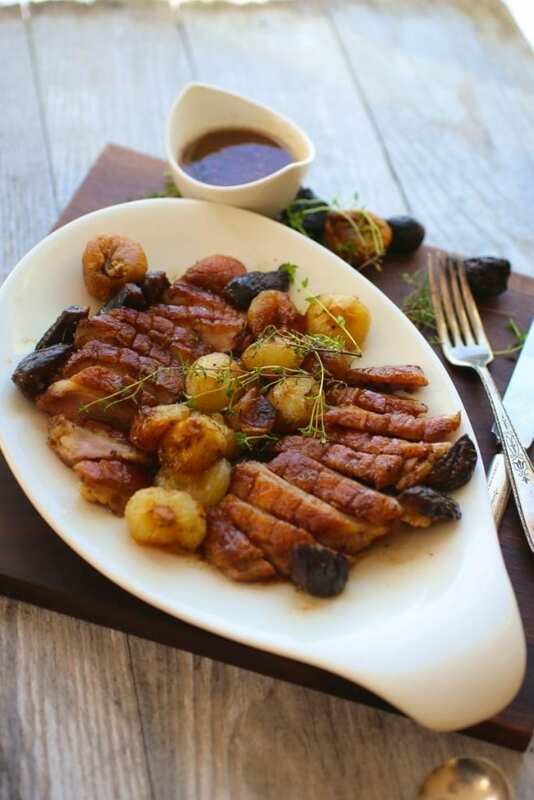 Case in point: Crispy Duck Breasts with Sherry and Figs. Served with Roasted Cipollini Onions with Thyme. A perfectly cooked crispy duck breast is a study in contradictions. Ideally, the skin should be deep, dark brown while the meat retains a rosy pink blush. 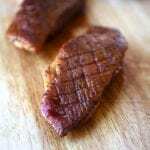 You also want almost no fat between the shatteringly crisp crust and the tender meat. But how do you achieve that? Make sure the breasts are very dry. Score the fat in a criss-cross pattern and place them, skin-side down in a cold pan. Turn the heat on very low and let the fat render very, very slowly. At this point, you’re not even cooking them, melting the fat below the skin. Depending on the size of the breasts, this can take 30, even 40 minutes but they payoff will be worth it. And other than spooning off the fat that collects in the pan every so often, you don’t have to so anything during this time. Score the skin but try not to cut into the meat. Cook SLOWLY, spooning out the excess fat every so often (but SAVE IT). Once the fat is rendered, turn the heat up to medium and brown both sides. Let the meat rest at least 10 minutes before slicing. 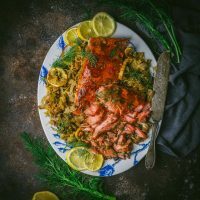 This sauce is a wonderful combination of sweet and savory. 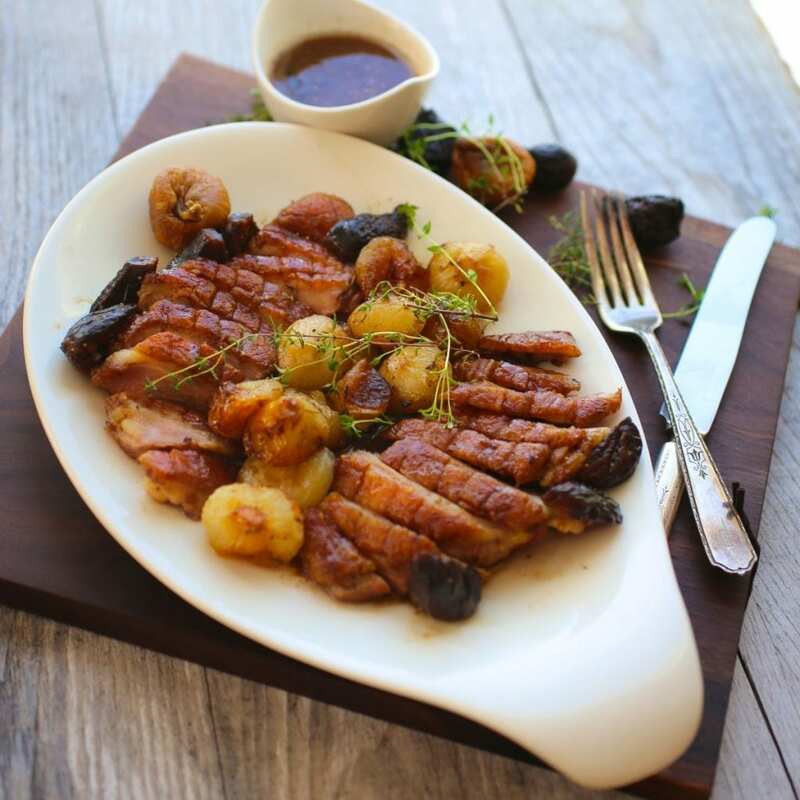 The combination of dry sherry, sherry vinegar and dried figs offset the richness of the duck beautifully. 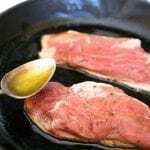 You can either make the sauce while the crispy duck breasts are resting, or make it in advance (use a saucepan and follow the recipe but don’t add the butter until just before you serve). Once the duck is done, pour the sauce into the de-fatted duck pan, scrape up any browned bits and stir in the butter to finish. 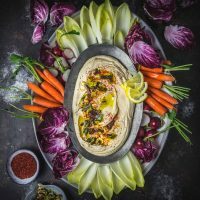 This method is great for a dinner party, when you want as little to do as possible at the last minute. If you want, you can make the sauce in advance and then add it to pan when the duck is done. ¼ cup dried black mission or other dried figs (approx 7-10 figs), trimmed and quartered. Dry the duck breasts very well. Trim any silverskin from the meat side of the breasts. If there’s a lot of skin, trim the edges so there’s only about ¼ inch overhang. With a very sharp knife, score the skin in a ½-inch crosshatch pattern being careful to cut only through the skin and not into the meat. Season the breasts well on both sides with salt and pepper. Put a tablespoon of olive oil in a large, heavy-bottomed sauté pan (don't preheat it!). Arrange the duck breasts, skin side down, in the cold pan. Be sure that the duck fits loosely in the pan and is not smushed or overlapping. Turn the heat on low and cook very slowly to render the fat from the duck breasts. It can take about 30-40 minutes to do this but will result in very crispy duck skin. As the fat builds up in the pan, remove it with a spoon or a baster, but reserve it (to cook potatoes or cipollini onions in). When the fat has fully rendered from the duck breasts, turn the heat up to medium-high and cook until the skin is crisp and deep golden brown. Flip and brown the other side, another 2 to 4 minutes. 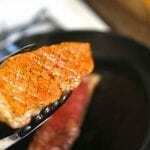 To check for doneness, use an instant-read thermometer: 135°F for medium rare, 145°F for medium. Transfer the duck to a plate or platter and tent loosely with foil to keep warm. Make sure the duck rests for at least 10 minutes before slicing. Remove any leftover fat in the pan and put back on medium-high heat. Add in the sherry, sherry vinegar and the figs.Scrape the bottom of the pan with a wooden spoon to release any cooked-on bits. Boil until the liquid has reduced to ¼ cup, 3-5 minutes. Add the broth, honey, thyme, and ¼ tsp. salt. 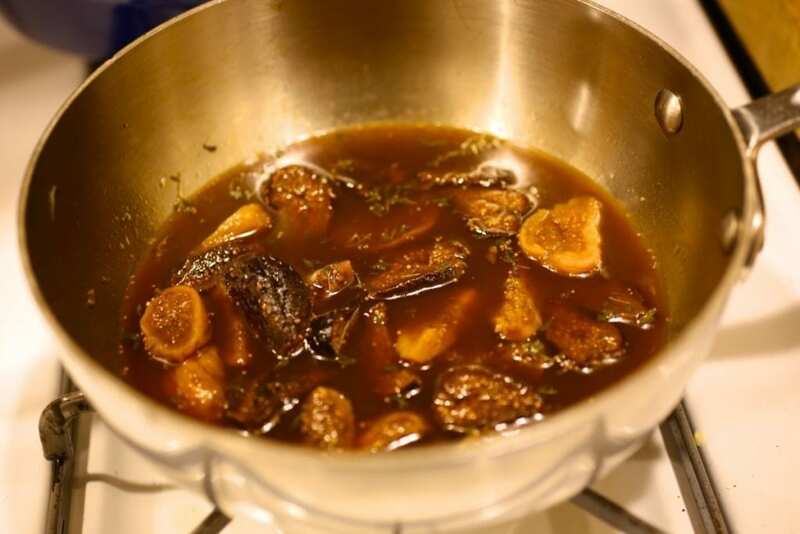 Boil until the liquid is reduced by about half and the figs are soft, about 5 minutes (this part can be done in advance in a saucepan and then added to the pan in which the duck was cooked. Don't add the butter until just before serving). Reduce the heat to low and, while stirring constantly, add the butter into the sauce. 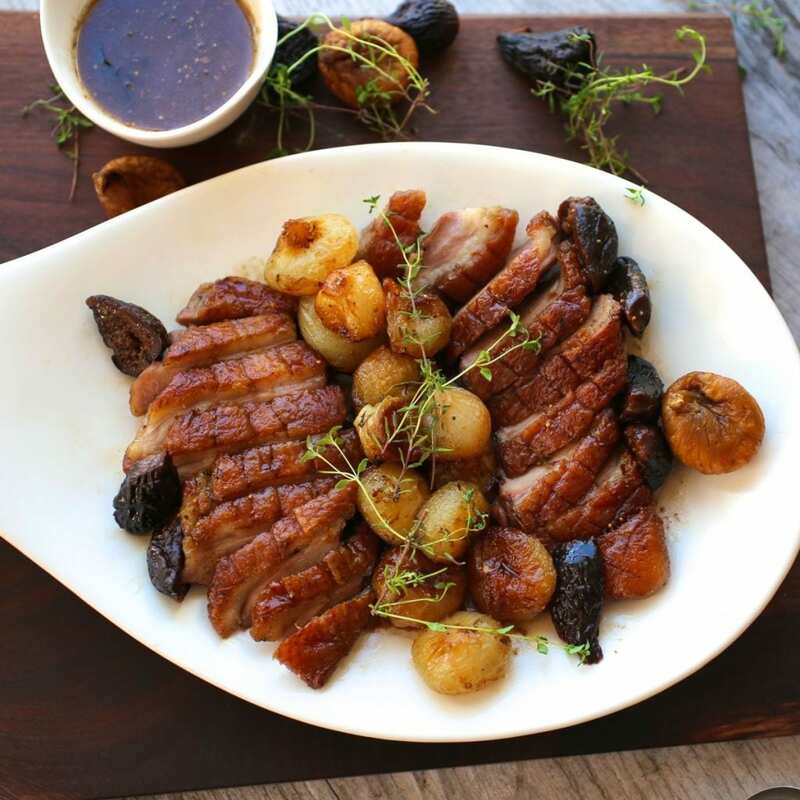 Slice the duck thinly on an angle, arrange it on plates, and spoon the sauce and figs around it to keep the skin crispy. Serve extra sauce on the side.